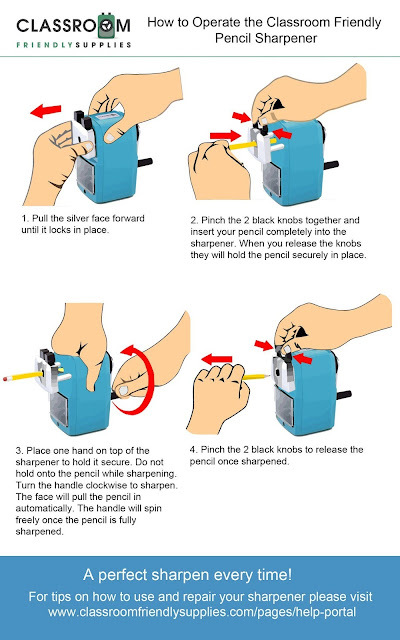 Pencil Sharpeners are such a necessity when you have kids, especially in school. I used to never keep pencils in the house, mainly due to the fact that small handheld pencil sharpeners don't work well, hurt your hands, and you can never get a sharp tip. Now that I have a son who needs to write his name and other things for school, I don't want him learning only with crayons and markers because it is not realistic. So, when I first received my sharpener from Classroom Friendly Supplies, I was pretty excited to test it out on some very dull pointed pencils. These sharpeners are set up a bit differently then a typical sharpener that I grew up with. There is a reason for this though, having the piece that pulls out away from the sharpener, makes it so you have a sharper tip on the end of your pencil. When I first sharpened a pencil I went to use it, and it was comparable to writing with a mechanical pencil, the tip was so fine. There are two pieces of plastic on the top that you squeeze together to stick the pencil in, which holds it the pencil in place. My son wanted to give it a try, and I figured why not? It is a chance for him to get some practice. We pulled out every single dull pencil we could find, and spent our day sharpening pencils. He loved it. The only thing it didn't do great at was some of my older color pencils, I don't know if it was because of the age of them (they were OLD) or if it was because it was not graphite. But twice I had issues. And that was still an easy fix each time. 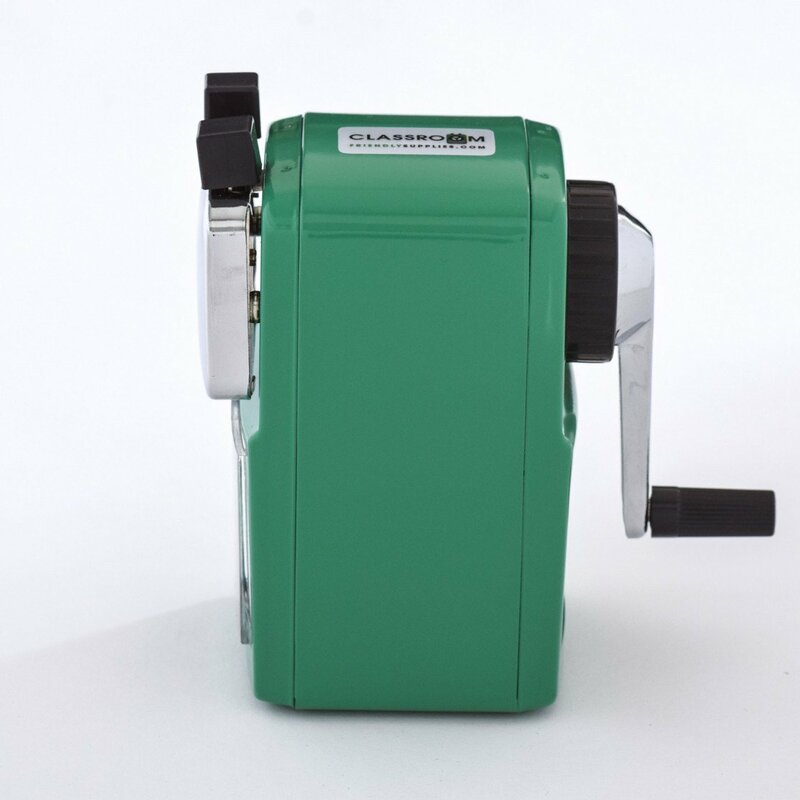 If you would like to find out more about these awesome, and beautifully colored sharpeners, please click here.